For as long as there have been pants stitched with pockets, there have been people trying to pick 'em. They scheme in every city -- skills sharp, techniques tested, methods honed to a science -- for ways to separate unsuspecting tourists from their cash. And the only way to keep them from ruining your big trip to Euro Disney is to beat them at their own game; here's your guide to their secrets. Pickpocketing is most often performed by teams, known as “whiz mobs,” and each member has a specific job. The “steer” selects a victim, also known as a “mark” or “vic.” A “stall” distracts the mark, while a “shade” obscures the actual act of theft -- known as the “dip” -- which is performed by the “tool” or “mechanic.” Are you writing this down? The first obstacle a pickpocket must overcome is personal space, as most people (outside of China) naturally become defensive when someone stands too close. That’s why thieves often work in crowds and places where people are pressed together -- it provides cover for physical contact. They hunt in subways, buses, concerts, nightclubs, and parades, targeting spots where vics are distracted by some type of spectacle. Elite pickpockets know that asking someone a simple question can take that person's focus off his wallet, if only for an instant. Light pressure on your left elbow will distract you from the stranger’s hand that's lifting your phone from your jacket pocket. The trick is not only to catch you napping, but to refocus your attention in the wrong place. A master thief uses your movements against you. For example, if you're standing in an elevator, a thief might position himself behind you with a jacket hiding his working hand. Rather than pulling the phone out of your pocket, he simple pinches the exposed corner and, when the door opens, allows your own walking motion to fluidly dislodge it. Bam. He's got your Motorola RAZR. You feel nothing. Nothing but joy, that is, as you can now go buy an unlocked KRZR. 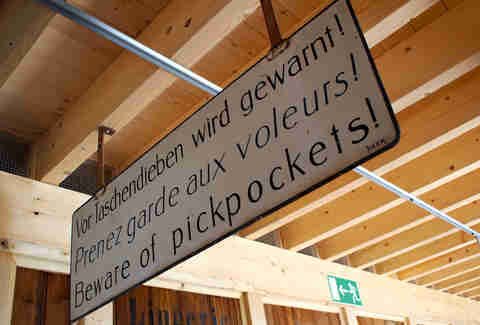 As noted, pickpockets need to know where you keep your valuables; one easy way to do this is hang out near these signs, common in tourist areas in Europe. 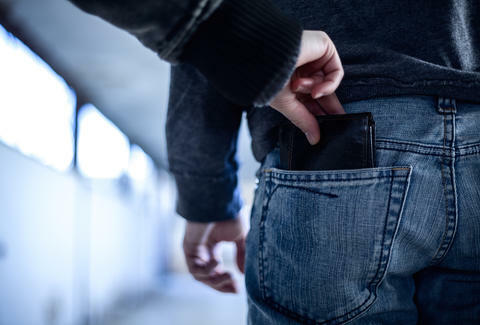 As it’s natural to subconsciously reach down and check your wallet and phone when you see a sign, thieves only have to watch as you broadcast exactly where you're stashing your dinero. Common at subway turnstiles and escalators, two thieves will sandwich a mark. When the one in front stops short unexpectedly, causing the target to bump into the "stall," the mechanic standing behind dips into the pocket. 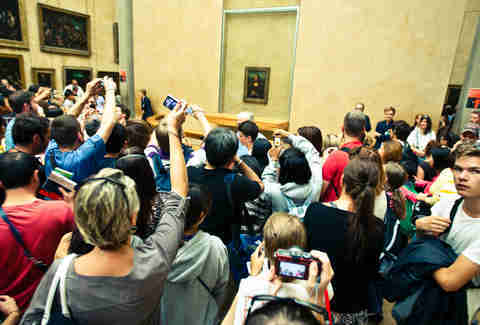 Any spectacle with a crowd provides an opportunity for thieves to do their work, but sometimes they have to manufacture their own distractions. Common schemes are spilling something on you, asking for directions, flirting, dropping things, and, of course, the ever-popular gypsy kids waving pieces of cardboard in your face. To use an old analogy: If you’re in a crowd being chased by a bear, you don’t have to be the fastest to survive — just not the slowest. 1. Pickpockets look for easy prey: the lost tourist with the fanny pack, the girl with her eyes fixed on her phone -- don’t be that fool. At the very least, make your things difficult to steal. That should be enough to deter most thieves. 2. Guys, put your wallet in your front pocket instead of the back, and wrap it in a rubber band so it doesn’t slide smoothly. Also, carry an empty decoy wallet in your back pocket to misdirect their attention. 3. 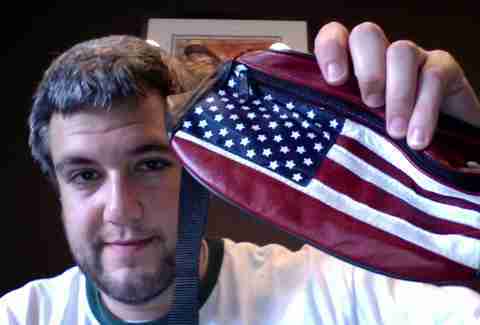 Ladies, carry your purse in front of you when in a crowd. Keep it closed. Don’t let it leave your sight. 4. Keep your important items — cash, IDs, documents — in different places; if you do get pickpocketed, you won’t lose everything at once. 5. In general, keep your valuables on the down low. Half of pickpocketing is knowing what you have and where you keep it; each time you pull out your aforementioned KRZR to Snapchat that cute Latvian girl you met at the hostel (wait, Snapchat does't work on the KRZR? What!? ), you are doing half the thief’s work for him. Use good sense. 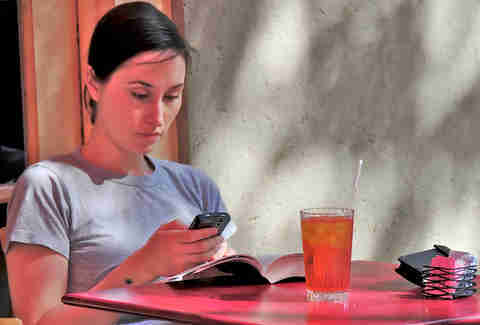 In the US, you wouldn’t stick out for having a sweet phone. But in Peru… it’s wise to keep it hidden. This article was originally published on February 20, 2014.